Viviani and Keisse show off the Deceuninck kit, will it change for 2019? Mathieu van der Poel makes plans for next year - Top Story. A mixed bag of EuroTrash this Thursday: Three Grand Tours for Thomas De Gendt, Marianne Vos in Koksijde, Conor Dunne for Israel, Jhonatan Restrepo back home, Antonio Colom has heart attack, Vincenzo Nibali talks to the police, Arctic Race for 2019, Astana changes, Vital Concept meeting and new coach for LottoNL-Jumbo. To finish: Mathieu van der Poel National champs win video. Enjoy! TOP STORY: Cross, MTB and Road for Mathieu? Mathieu van der Poel normally finishes the entire cyclocross season, and the plan for the Corendon-Circus rider is that up to and including the Vestingcross in Hulst in February the 17th, 2019, he will ride all the cross races, with a rest of two weeks at the beginning of December. Obviously the cyclocross World championship in Bogense, Denmark on Sunday 3rd February, 2019 is a big goal. "We are not planning to leave the cross early," says team manager Christoph Roodhooft to Het Laatste Nieuws. The plan for the 23-year-old Van der Poel is that he will make his debut in the spring classics in 2019. "His road program will be limited," Roodhooft continues. "We are working hard. Before Mathieu leaves for high-altitude training to Spain on November 28, we hope to have a program arranged." The Dutch road champion said he was going to ride Gent-Wevelgem and possibly Paris-Roubaix and alluded to participating in the E3 Harelbeke. Roodhooft has his reservations about the latter. "The combination of the E3 Harelbeke (Friday) and Gent-Wevelgem (Sunday) seems difficult. Anyway, if Mathieu said that, then maybe it is possible. But we will not use him as cannon fodder. We are not going to sacrifice Mathieu for a classic spring." Van der Poel himself only wants to think about his spring after the World cyclocross championships. MDVP does not necessarily want to race the monuments, although he doesn't rule anything out. "My main goal, for the time being, is the Olympic Games on the mountain bike. After the Games, I will be 25 and, in principle, I could ride on the road for another 10 years." 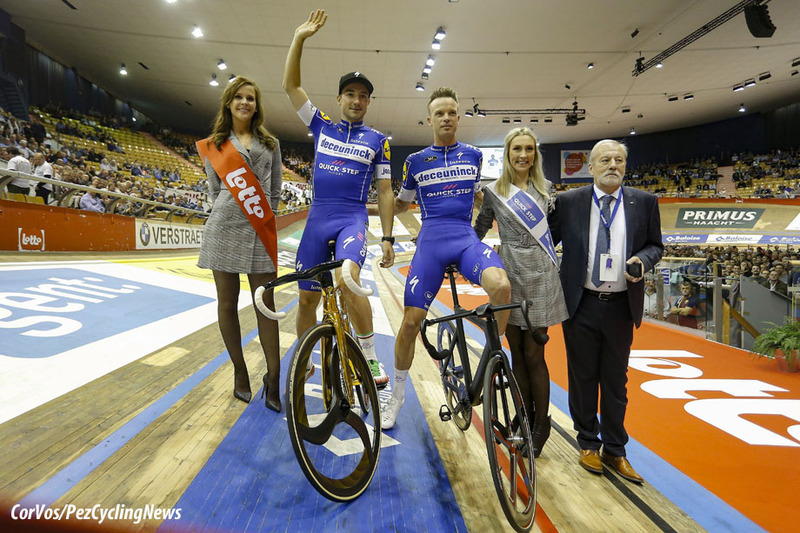 On the opening night of the Gent '6 Day' on Tuesday saw Elia Viviani and Iljo Keisse line-up in Deceuninck - Quick-Step jerseys. The blue and white jersey is the same as this years team jersey, but will probably not be the new kit for 2019. 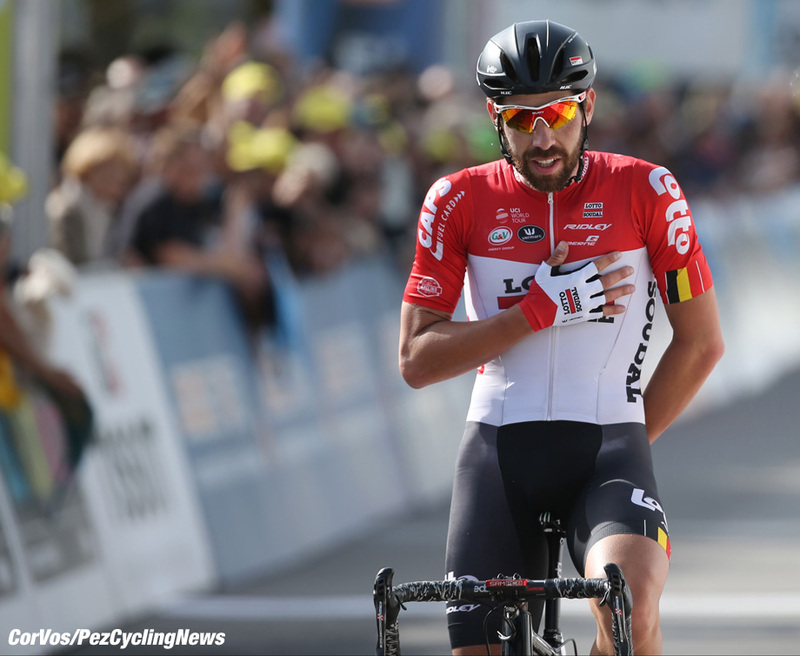 Thomas De Gendt 2019: "Giro, Tour and Vuelta"
The ambitions of Thomas De Gendt for 2019 are clear; the 32-year old Lotto Soudal rider wants to be at the start of all three Grand Tours, he said in an interview with Het Nieuwsblad. It would be a first for him, as he has never ridden the three big tours in the same year. De Gendt has won stages in all three, plus 3rd overall in the Giro and the KOM in the Vuelta. "I start with the Tour Down Under, then Paris-Nice, Catalonia, the Tour de Romandie, the Giro, the Tour and the Vuelta", is the program De Gendt has in mind. "In between, I will recuperate. I still have to discuss it with the team, but I can more or less choose my own program." 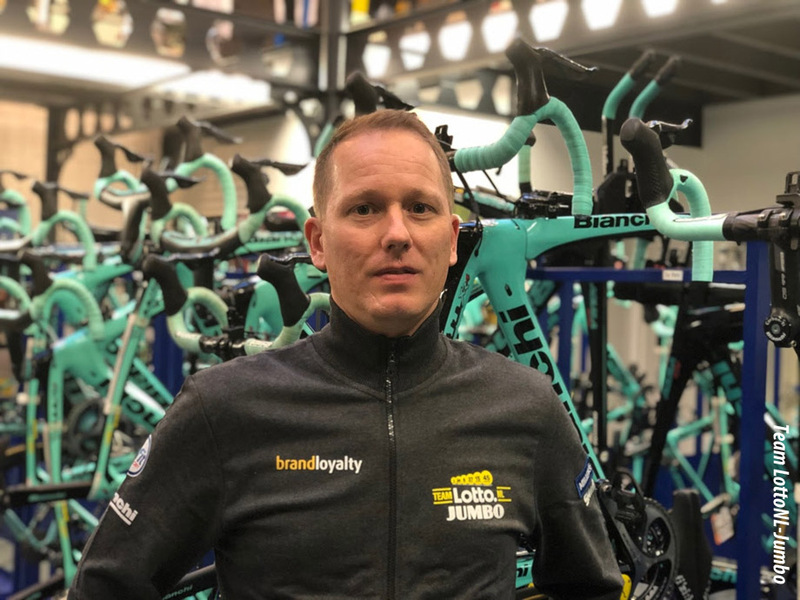 The 32 year-old Belgian was recently elected by the public for an award at the Gala of the Flandrien, ahead of Jelle Wallays and Tim Declercq. 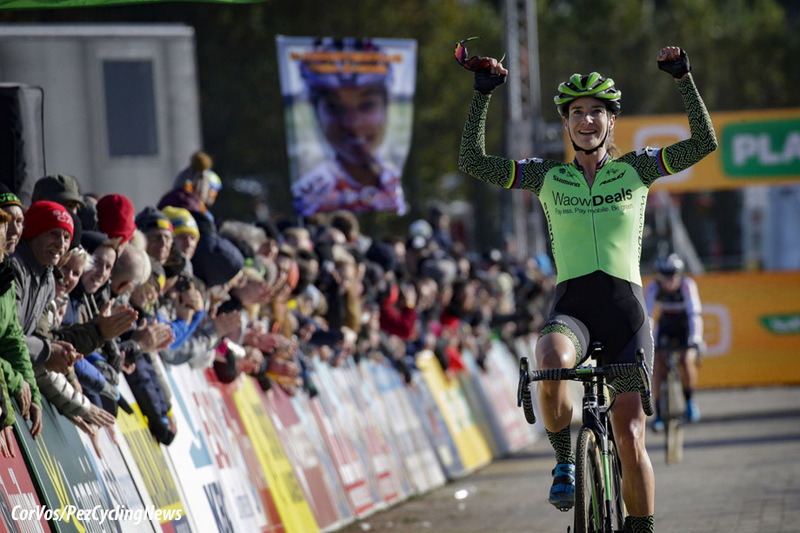 Marianne Vos is currently enjoying a well-deserved rest period, but the 30-year-old Waowdeals rider went straight into cyclocross right after her road season and focused on the European Championships in Rosmalen. The multi-World champion won silver, and then took her holidays. Vos will make her return in the Koksijde cross with an eye on the World championships. Vos initially wanted to focus exclusively on the championships prior to the winter, but after winning two of the first three World Cups (in Iowa and Bern), the Dutchwoman was not sure about riding the World Cup in Tábor. Eventually she decided not and returns in the Koksijde World Cup on Sunday, November 25th. "With a view to the World Cup a smart move", according to Dutch National team coach, Gerben de Knegt. At the moment; Vos has a 68 point lead over World champion Sanne Cant in 2nd place and 71 points on Kaitlin Keough in 3rd and 87 points on 4th placed Ellen van Loy. A victory in a World Cup event is worth 80 points, 2nd 70 and 3rd 65 points. If Cant wins in Tábor, Vos would have to beat the Belgian World champion by 12 points in Koksijde to take the World Cup overall. Israel Cycling Academy has added Conor Dunne (26) to the team for next season. 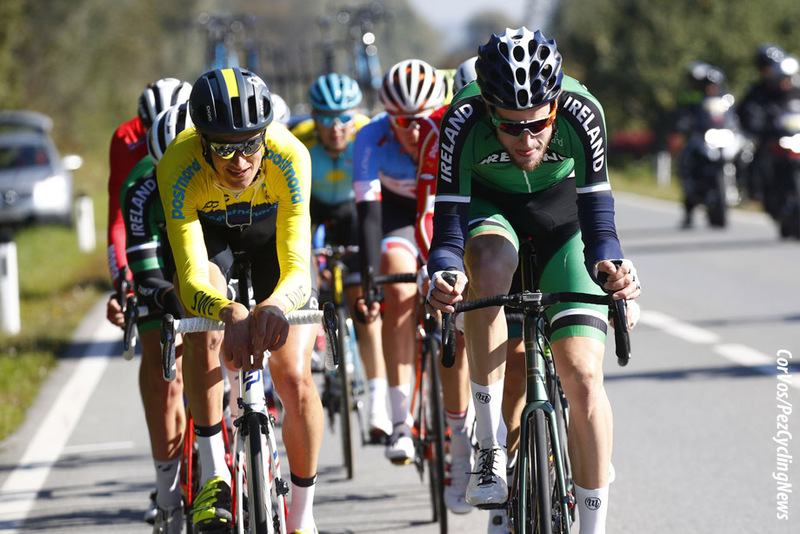 The team sees in the tall Irishman the intelligent, smart and reliable rider needed to support the sprinters and climbers and, as he demonstrated in the 2018 Worlds (see photo below), he can also be part of the early break. For the past two years, the Irishman has been riding for Aqua Blue Sport, but the team will not race in 2019. "He has race insight," said manager Kjell Carlstrom, "and knows exactly when and how to move in the peloton, which you can see from his successful escape attempts. Many riders want to be in the race, but only a few get it. We need him for the escapes, we need him to chase escapes, we need him to support his teammates. In short: He will be very valuable to us." Dunne reacted enthusiastically to this opportunity. "My personal goal is to win a race in my National champion's jersey next year and I really want to put some pressure on myself to achieve this. I admire the way Israel Cycling Academy works. They are very strong and have worked together as a team in every race I witnessed. I am really looking forward to working with them next year and being ambitious." Before his two seasons with Aqua Blue Sport, Dunne raced with JLT Condor (2016) and An Post-Chain Reaction (2014-15). He took his first professional victory earlier this year in the Irish road championships. Manzana Postobon have announced the arrival of Jhonatan Restrepo to the team for 2019. The 23-year-old Colombian returns home after several season with Katusha-Alpecin. This season he was 2nd on stage 11 of the Vuelta a España and 4th in the Italian one-day race Gran Piemonte. "I wanted to go to this team, so I can ride a bit more often in Colombia. I also want to regain the confidence that I lost in the past three years when I was in Europe", explaining his transfer. "I did pretty well, but I missed winning and lost confidence. This is not a step back. I hope that everything works out well and that I can deliver beautiful victories for the team." 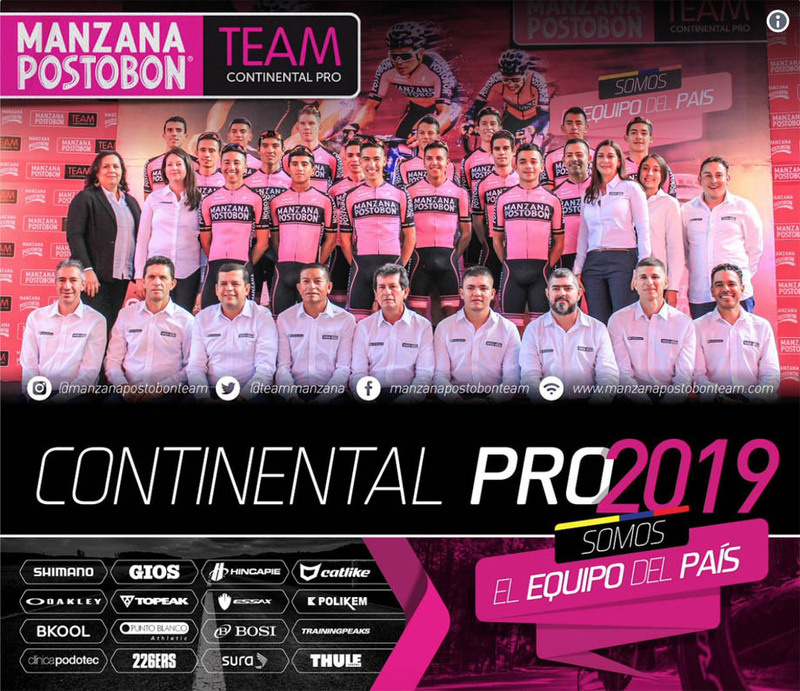 With Restrepo, Manzana Postobon has completed the team for 2019. The team welcomes eight new faces: Restrepo are Luis Carlos Chia, Bryan Gómez, Daniel Jaramillo, Omar Mendoza, Diego Ochoa, Carlos Quintero and Nicolas Saenz. Juan José Amador, Luis Carlos Chia, Jhojan García, Bryan Gómez, Daniel Jaramillo, Omar Mendoza, Diego Ochoa, Juan Felipe Osorio, Wilmar Paredes, Jordan Parra, Carlos Quintero, Jhonatan Restrepo, Aldemar Reyes, Nicolas Saenz, Yecid Sierra, Bernardo Suaza (all Colombian). Former cyclist Antonio Colom had a heart attack, according to Spanish newspaper Diario de Mallorca. It was reported that the 40-year-old was unconscious when he was taken to hospital. Colom, who lives in Mallorca and is involved in triathlons was struck by a heart attack last Wednesday after intensive training and was rushed to the Son Espases hospital. After a cardiac catheterization (heart examination) the seriousness of the situation was found. The doctors urgently advised Colom to stop exercising. The Spaniard is in a stable condition. Colom started his career in 1999 with the Italian Amica Chips-Costa de Almeira team, where Claudio Chiappucci and Evgeni Berzin were finishing their careers. He then moved to Relax-Fuenlabrada after three seasons. After this he rode for Illes Balears and Caisse d'Epargne (2004-2006), then Astana (2007-2008), finished his pro career with Katusha in 2009. His biggest win coming in the Ruta del Sol, Critérium du Dauphiné Libéré, Tour of Valencia and his local Vuelta a Mallorca twice. 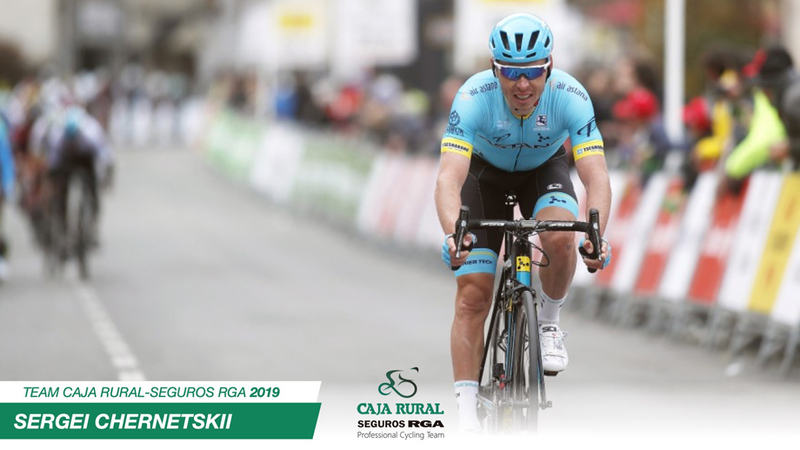 He was brought in to Katusha as a team leader and started the year with stage wins in the Volta ao Algarve and Paris-Nice and a second place in the Tour of the Basque Country. He was caught with CERA on April 2, 2009 and was suspended for two years, losing his second place overall in the Vuelta al País Vasco. Colom didn't return to the pro peloton. Colom has been concentrating on training athletes since his forced retirement as a pro cyclist. 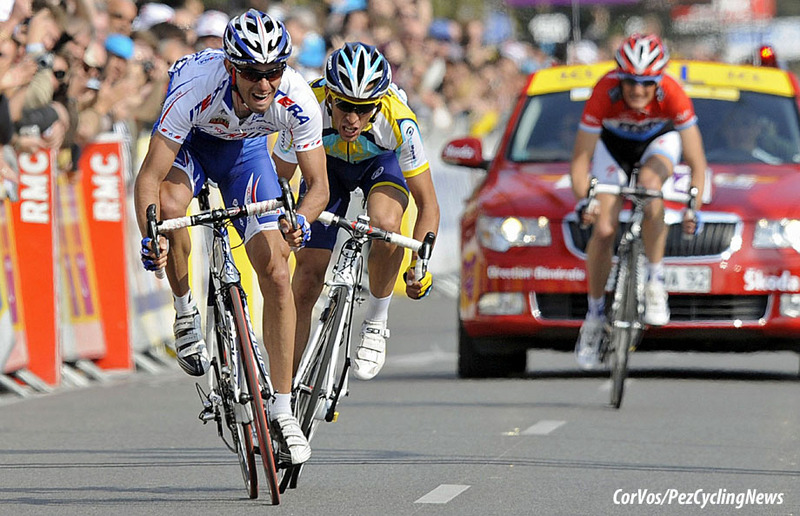 His most famous pupil is his cousin, Quick-Step Floors' Enric Mas, who finished second in the Vuelta a España. Vincenzo Nibali sat with the French police for three hours last Saturday. The Bahrain-Merida rider provided evidence and explanations for his crash on stage 12 of the 2018 Tour de France. "We were impressed by how detailed the evidence and research is," his lawyer Fausto Malucchi told the Italian newspaper La Gazzetta dello Sport. Nibali crashed on the Alpe d'Huez after his handlebars caught with the camera strap of a spectator. After examination at the Grenoble hospital, Nibali was found to have a fractured vertebra. Three French police officers spoke with the 2014 Tour Winner and his lawyer on Saturday with the help of an interpreter. 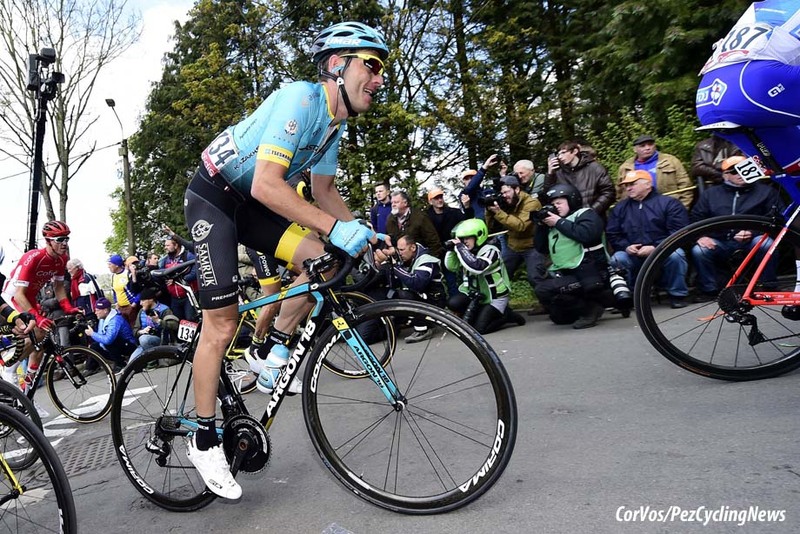 One of the most important points for Nibali and Malucchi was safety and comparisons were made between the climbs of the Alpe d'Huez that of the Giro stage over the Monte Zoncolan. In Italy volunteers kept the road clear during the last kilometers of the Zoncolan, while in France there was a lack of police involvement on l'Alpe d'Huez, meaning that there was little control over a large group of spectators. Both Nibali and his team Bahrain-Merida believes that the organizer of the Tour de France, ASO, could ultimately be held responsible for the damage caused by the incident. ASO, on the other hand, claims that the accident was caused by the reckless behavior of the fans on the side of the road and that there was little that they could do. La Gazzetta dello Sport thinks the investigation is close to a conclusion after collecting a considerable amount of photo and video evidence and witness statements. For the second time in seven editions, the Arctic Race of Norway will take place on the Lofoten Islands, known around the world for their atypical scenery where the roads run between the mountains and the sea. The town of “Å” will, for the first time, host a stage of the Arctic Race on Thursday, August 15. This small village with such an original name (the final letter in the Norwegian alphabet!) is also called this because it is here where the last inhabitants on the extreme west side of the island live. Over 182 kilometers, the peloton will pass the finish line twice to complete the two loops. Although four classified climbs will be part of the King of the Mountain classification, this won’t inhibit the sprinters from battling for the win at Leknes. Ø Edition 7 of the Arctic Race of Norway will be held between August 15-18, 2019. 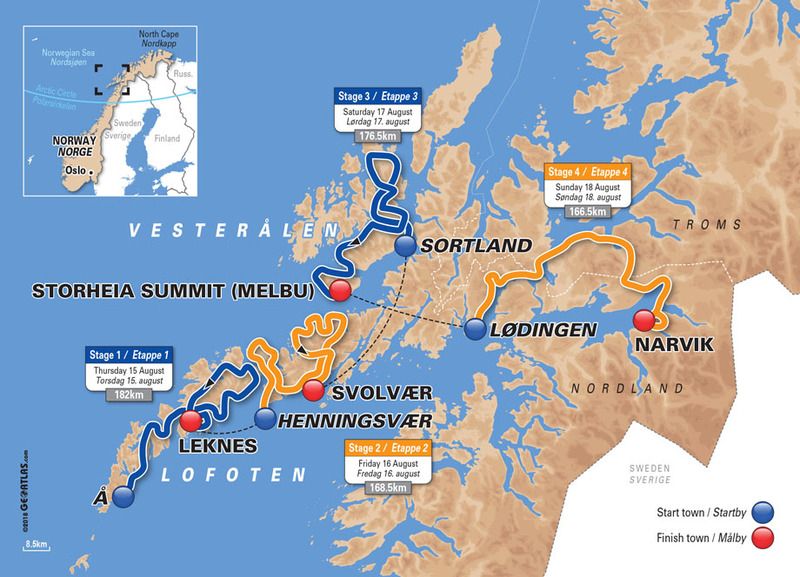 Ø The Northernmost cycling race in the world will visit the Islands of Lofoten and Vesterålen before finishing at the base of the Nordland ski station in Narvik. Ø The race will see the sprinters to battle it out in the first two days. The general classification will be settled during the weekend with an all-new mountain-top finish at Storheia Summit. A few hours before the arrival of the professionals in the streets of Narvik, the 17 and 18-year old talents coming from all over Norway and five European countries will have their moment in the sun in the Arctic Heroes of Tomorrow Race. 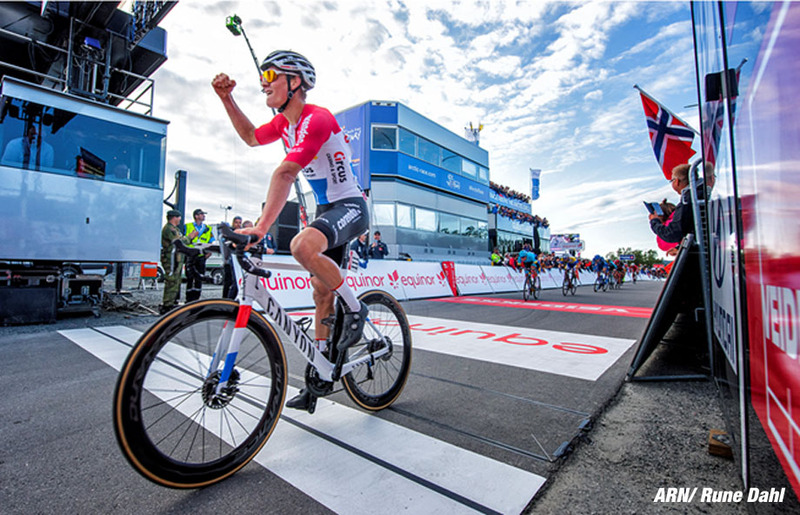 This race for junior riders organized jointly with Equinor, the main sponsor of the Arctic Race of Norway, and the Norwegian Cycling Federation, has become the revelatory event of the future stars of the men’s and women’s pelotons in a country whose passion for cycling is well-known. Winner of the first edition of the Arctic Heroes of Tomorrow Race in 2013 in Harstad, Kristoffer Halvorsen won the World Junior Road Race Championship in 2016, before joining the Sky team this season. Initiated in 2013, the collaboration with SpareBank 1 Nord-Norge contributes to the development of cycling practice by young children. Since 2013, more than 11,000 children have participated in the SNN Mini Arctic Race all across Northern Norway. 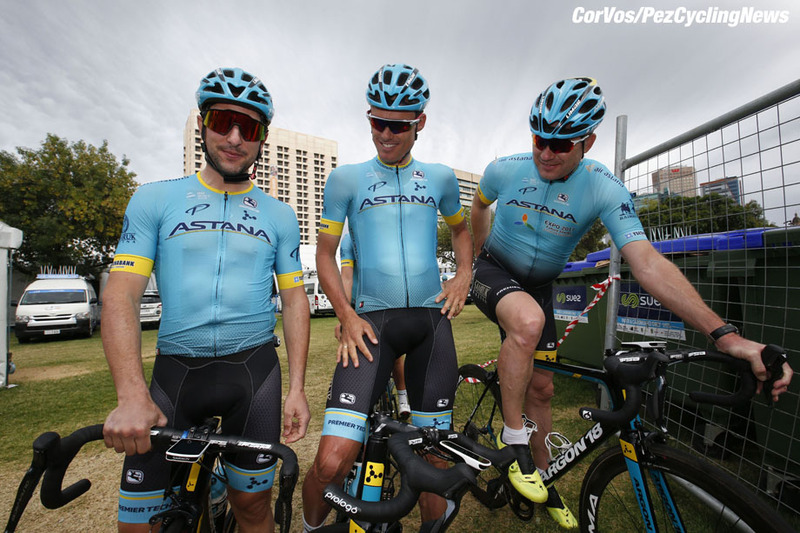 Alexandr Vinokurov: "We are grateful to each of riders, who were part of Astana Pro Team"
"We are grateful to each of the riders who were part of Astana Team, no matter if it was just for a year, two, five or ten. On behalf of Astana Pro Team I want to wish all the guys who are leaving our project a good luck and success in the new season!" said general manager Alexandr Vinokurov. "I think that this year Michael was one of the strongest classic riders not only in Astana, but also around the world. His wins at the Omloop Het Nieuwsblad and Amstel Gold Race, a podium at the Bretagne Classic and a great performance at the World Championships speak for themselves. In Astana Michael was able to make a big step forward, and I am sure that his development will continue in the new season, even if not in our team. I was pleased to work with him in Astana, and I wish him a great success in the new project," said sports director Lars Michaelsen. "Tanel is a great athlete, an excellent mountain rider, who spent 8 wonderful seasons in Astana. He made a great contribution to the team's victories in the Grand tours. Now, perhaps, came the moment when he began to think about some changes in his career, perhaps he wanted to try something new in one of the other teams. I think this is absolutely normal. We fully respect Tanel's decision and wish him continued success in his career. I want to say a big thank to Tanel for all the years spent with us," said team manager Dmitriy Fofonov. "Oscar is a good rider and a wonderful person, very open and sociable. In Astana he had a number of good results, in each race Oscar tried to be as useful as possible to the team. But perhaps the time has come to change something, and I hope that in the new team he will succeed more than with us. Regardless of that in the future he will ride in the colors of another project, we part as good friends," said sports director Bruno Cenghialta. "Jesper came to the team as a rider, who was supposed to help the leaders in the high mountains. Last year at the Giro d'Italia he showed himself very well, also this season at the Tour de France he did everything he could to help our leader. Well, we can only wish Jesper all the best in the new team, I hope that this transfer will have a good impact on his career, will give him some new impetus that will lead to success," said Lars Michaelsen. "Moreno spent two years with us. Perhaps he was not able to fully realize what he expected from himself, and what the team expected from him. There were also objective reasons related to health. However, Moreno is still not told everything in cycling, it was great to watch his success at the Trofeo Laigueglia early in the season. Well, if not everything turned out in our team, I hope that it will turn out in the new team. Good luck, Moreno!" said sports director Giuseppe Martinelli. "Sergey is a big professional, he is 100% dedicated to the sport. We spent two seasons together, not everything worked out for Sergei at the beginning of this period, but I am very glad that in the second half of this year he began to really open up. He has great potential, he always works honestly for the benefit of the team and, as we have seen, he knows how to win. I hope that Sergei will continue career in a good team, where will be able to realize himself completely," the sports director Dmitri Sedoun told. "We were a little surprised by the decision of Truls to finish his sports career right in the middle of the season. He spent a year and a half with us, but apparently felt some limit in cycling and decided to finish his career. Well, that's his decision, we accepted it. As far as I know, Truls decided to focus on his studies, chose a medical direction. Of course, this is a serious step in his life. We were counting on Truls for the classic races, such as the Paris-Roubaix and the Tour of Flanders, we saw a certain potential in him. During the time spent in the team, he showed himself really well, his work was done perfectly. But, unfortunately, it did not work for his cycling career. Nevertheless, we wish him good luck in life outside the sport," said Dmitriy Fofonov. "I think that Riccardo is a very good sprinter, who is able to win much more than he has won at the moment. 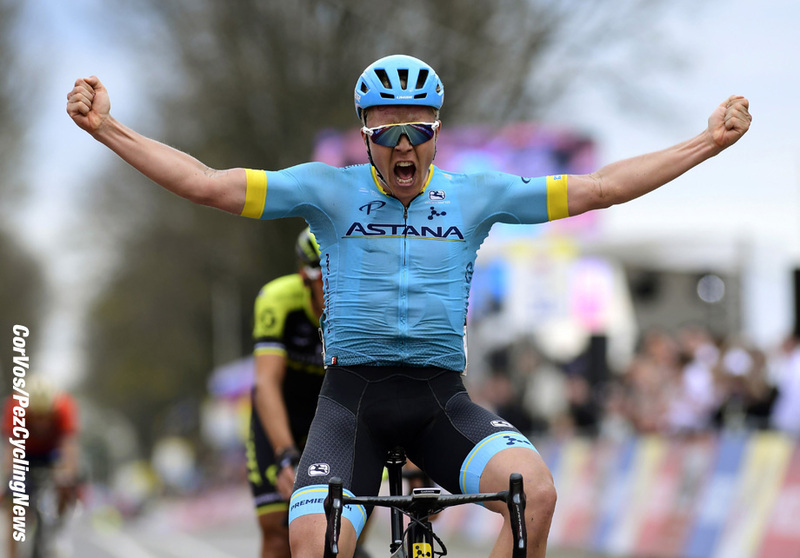 Perhaps, in such a team as Astana, which pays great attention to the Grand tours and is focused on the fight for the general classifications, the young sprinter might have some problems to prove himself in full. Nevertheless, some results were shown – two victories in Langkawi and a few podiums in other races – it's very good. I wish Riccardo to find a team that will be 100% suitable for him and where he will be able to realize his talent. 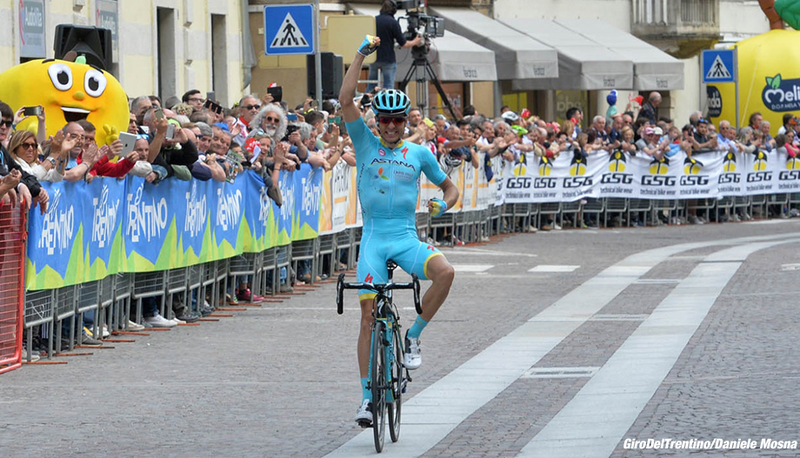 I hope to see new victories of Riccardo, even if not in the Astana jersey," said Giuseppe Martinelli. "Ruslan joined our team 6 years ago, he started here his professional career. During this time together, we have gone both through many wonderful moments and through difficulties. In his career, Ruslan had victories, high achievements and team successes, which he shared with all of us. I think, together, we all tried to do our best. I would like to thank Ruslan on behalf of our team and wish him all the best in the new turn of his life," said Dmitri Sedoun. "Andriy spent a very long period of life with us, perhaps it was a separate little life. I think that for him the period in Astana is the best in his career, together with us he was able to achieve good results, while giving the team a lot. The team always believed in Andriy, and he always justified this trust. It was a wonderful time. All I can say now is a big thank for all these years," said Dmitri Sedoun. 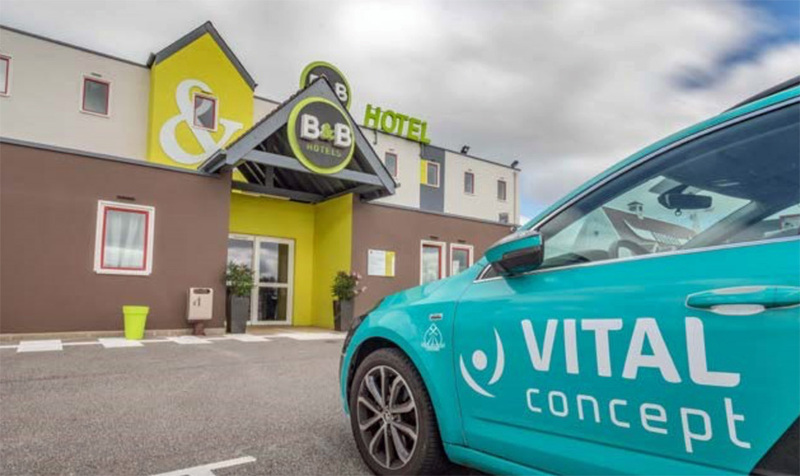 A few weeks before starting its second year in the professional peloton, the Vital Concept Cycling Club will have their first winter get-together from Wednesday 14th to Saturday, November 17, 2018. For the first two days, the 'Glaz et Noir' team will have the honor to gather in the Meucon military base, in the municipality of Monterblanc (Morbihan), where they invite the press to meet the whole team on Thursday. The general manager Jérôme Pineau, all the staff and the twenty-three riders of the 2019 team will be available for interviews. In addition to the members of the Breton ProContinental team from last season, the five new recruits will be present. Even though the meeting is taking place within a property owned by the Ministry of the Armed Forces, there will be the opportunity to shoot footage of this gathering and photograph the 'Men in Glaz' with their hosts of the day, under the control of the staff of the 3rd Regiment Marine Infantry. Arthur Vichot (Fra / 30 years old, formerly Groupama-FDJ). "Being a part of the performance team of one of the best teams in the world is fantastic", Heemskerk says. "Improving athletes through training and coaching based on science is my passion. I had that opportunity with other teams, but with Team LottoNL-Jumbo it felt right immediately. The way in which riders are being trained, appeals to me: improving together, every day."